It turns out I'm having a vacation, who knew? We reside in Oku's grandmothers house in a tiny harbour town called Hanko (or Hangö, whichever you prefer). It lies in the part of Finland where they speak more swedish than finnish. Yes, Scandinavia is funny that way. Now, I'm horrible at vacations. Apparently you are meant to take it easy and relax, but I have never experienced this phenomenon. Instead I suffer from the worst crafting/sewing withdrawals in the history of man and do everything I can to keep myself busy. This has resulted in me shortening too long trousers for Oku's grandma by hand (it's not good for old people to fall in the stairs, i've heard), read more crafting blogs than humanly healthy and running around outside in search for a fabric store. Now, despite how it sounds, I am not miserable. This house is something of a treasure cave, you find anything! Oku's mother, who is here as well, keeps finding fabrics that she's picked up around the world over the years and to keep her restless almost-daughter-in-law happy she hands them over to me. Oh the joy! Colorful cotton! 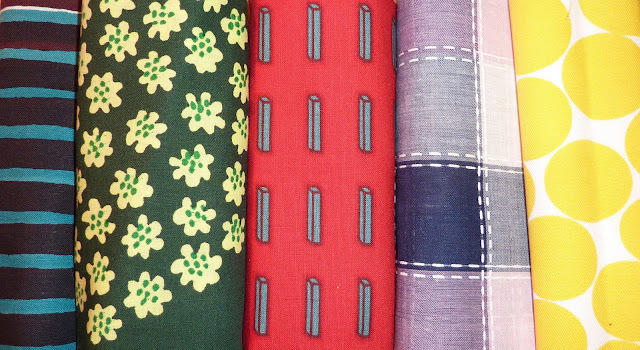 All bought in Dubai, except for the green one which is an old finnish Marimekko-design. I've always loved Marimekko, must be in the blood. 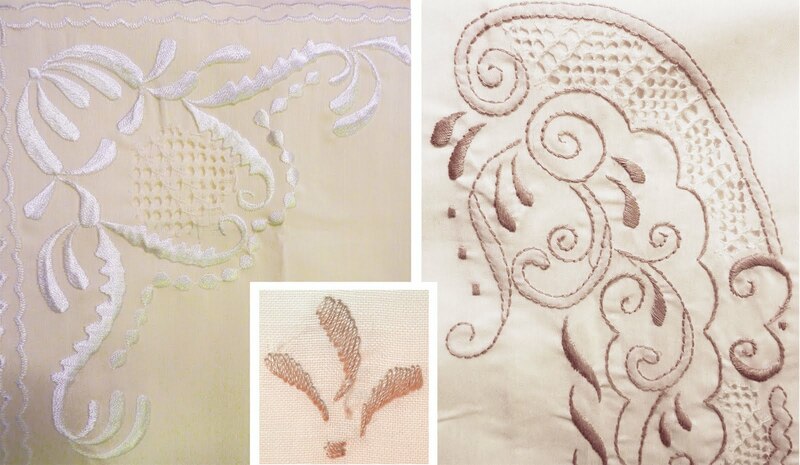 Fabric from the Philippines, one in light cream color with white embroidery and one white with light brown embroidery. Both which follow the fabrics end to end. Blue silk from India to the left, the brown on is linen from england and all the blues on the right are from Dubai. I'm so amazed that she remembers where she bought them all, some of them are over 20 years old. On the other hand, if I got to travel as much as she has, maybe I would too. No match remembering "the local fabric store in town", so I don't really have anything compare it with, haha. My head is already full of ideas and I can't wait to get home and start using all my "new fabrics". I'll be staying here for six more days, so until then my treasure hunt will continue and maybe I'll finally find that fabric store I've been looking for. I'll definitely be visiting Norway sooner or later, a lot of my family lives in northern Germany so that isn't *too* far away. Oh those fabrics look fabulous!! I'm not a terribly crafty person, but I took a sewing class this semester, and absolutely loved it. I'm not great at sewing but I do enjoy it immensely.